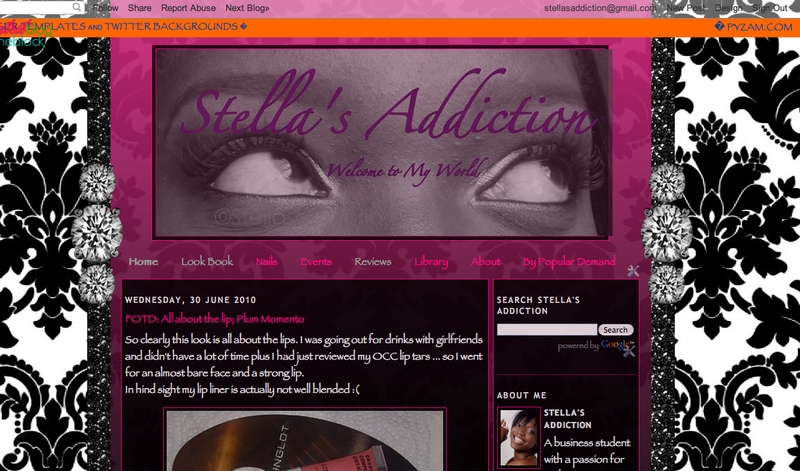 I just changed my blog design. I kept most if its original colors and prints but I tweaked it a little. I think the new design looks a little more mature than the old one. Black and white and magenta damask laces with some bling. Blog content on a black background. Black and white and magenta damask, most of the bling is covered and the blog content is on a white background.